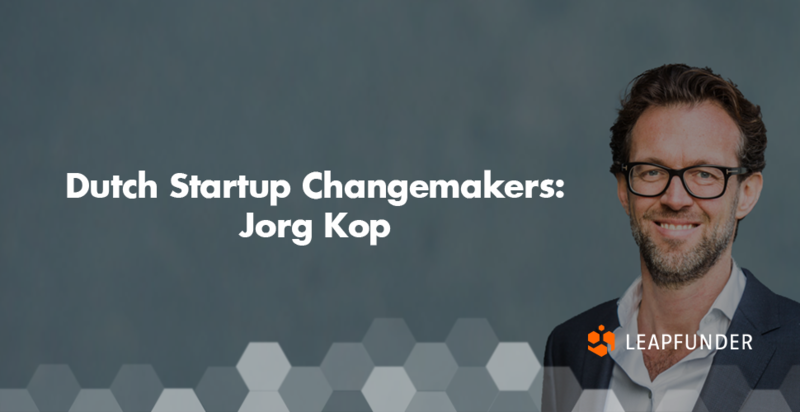 With twenty years of experience in management and commercial marketing, Jorg Kop is now working as a Managing Director at UtrechtInc, an incubator that focuses on scalable and innovative startups. He believes the excitement of working with capable people who share a common inspired vision is possibly the most enjoyable aspect of the startup life. 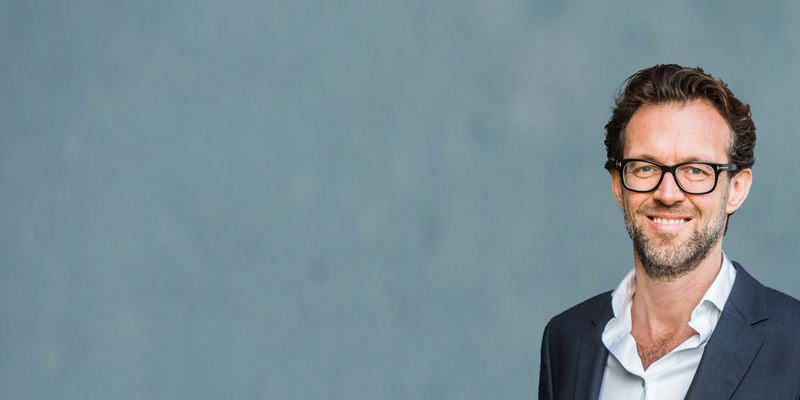 Find out more about his role in the Dutch startup scene, what he wants to achieve at UtrchtInc, and what he predicts for the Dutch startup ecosystem in the near future. 1. Hi Jorg, thank you for agreeing to do the interview. Could you tell us a bit about your background and your role in the Dutch startup scene? With pleasure! I spent my first twenty professional years in commercial marketing and general management roles in different kinds of businesses – from family owned (Agio Cigars) to stock exchange listed corporates (Groupe Pernod Ricard Wines & Spirits, Beckers Snacks, ITAB Shop interior & Check Out systems). The recurring theme was creating the right dynamics for breakthrough growth. During my sabbatical in 2010, the idea for SnappCar (P2P carsharing) was born. In retrospect, it was the perfect timing to move from intrapreneurship to becoming an entrepreneur in a high-risk project. Since then, I have been involved in many startups, either as mentor, advisor or investor. Now I work at UtrechtInc. 2. You’re the Managing Director at UtrechtInc, where startups can build their innovative idea into a growing business. The incubator focuses on health, education, and sustainability. Tell us more about it. UtrechtInc is the #6 academic business incubator in Europe, based at Utrecht Science Park, with Utrecht University, University Medical Center Utrecht, and Hogeschool Utrecht as its founding partners. We believe ambitious entrepreneurship is essential for turning knowledge into innovations that contribute to a healthy society. This is why we strive to make an impact with our ecosystem by supporting entrepreneurs and researchers in successfully starting their technology-driven startups. Surrounded by bright peers and a broad network of Talent, Funding & Corporates, first-time entrepreneurs get an extra impulse to boost their scalable and innovative startups. Since 2009, UtrechtInc has supported over 160 startups, representing over 1 150 jobs and over €250M of raised capital. The funny thing is that SnappCar is UtrechtInc’s alumni, so I experienced the incubator in 2011 as a startup, and now as a facilitator to startups. 3. You mentioned you worked on a startup called SnappCar yourself. What is it about the startup world that particularly attracts you? 4. You have also been a mentor at Startupbootcamp’s Smart City & Living program in Amsterdam. What is the thing you’re most proud of in shaping the Dutch startup ecosystem? Looking back, I’m very proud of what we’ve achieved so far. Together with our partners and team, we’ve created many matchmaking events between startups and corporates, talent and funding. Furthermore, we have successfully launched UtrechtInc Garage, a living lab environment for ideation. Utrecht is a city that embraces experiment and the innovation community regionally is seeing a tremendous momentum. The launch of Startup Utrecht (regional hub in close liaison with Startup Delta) is a good example. Startup entrepreneurship has become a job for many across the region. And not to forget, helping corporates to innovate is now structurally on the UtrechtInc agenda. Let’s take one step back. Some see startup as a buzzword. A startup is a business that just got started and has not achieved sustainable profit. A startup is by default a failing business until you make it profitable. This is what I see as the main challenge: let’s stop promoting startups as a lifestyle, but aim from scratch at profitability, with the focus on making money (the so-called ‘Cockroach startups’). The Dutch ecosystem is definitely on its way to a more mature phase. We have collectively created a vibrant ecosystem in which many more deals will be happening. In the meantime, we shouldn’t forget to create an environment in which startups can focus on their priorities: getting out of the building, visiting customers, getting a turnover and making progress. With the Dutch ecosystem organising many events, challenges and programs for startups, distraction from this focus can be a hurdle. At UtrechtInc our goal is to facilitate more science-based startups. Science-based inventions have the potential to change the world. Let’s get ‘valorisation’ high on the agenda and stimulate making a commercial impact with the outcomes of research. Thank you for your insights Jorg, we really appreciate it and wish you the best of luck in your future endeavours.